The last domino has fallen: T-Mobile announced on Tuesday that it would begin carrying the iPhone in April, fulling a promise made earlier this year. At that point, Apple’s smartphone will be available on all four major U.S. carriers, as well as a number of smaller, regional carriers. T-Mobile’s approach to selling the phone is a bit different, thanks to its recent plan to drop subsidies. Instead of a two-year contract with a subsidized price, qualified T-Mobile customers can get the 16GB iPhone 5 for $100 upfront, plus monthly payments of $20 for 24 months. 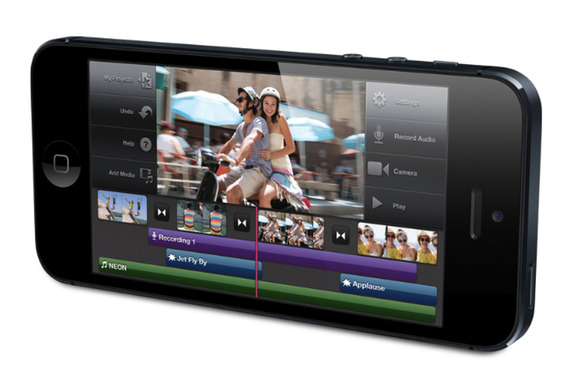 The 32GB and 64GB iPhone 5 models, which will only be available online, will sport down payments of $200 and $300, respectively. In addition, T-Mobile is also offering similar arrangements for the iPhone 4S and iPhone 4 “in select markets.” The older iPhones will be available for $70 and $15 down payments, respectively; while the 4S will also require $20 monthly payments over two years, the iPhone 4 only runs $15 per month. With those monthly payments, the prices of the handsets work out to $580 for the iPhone 5, $550 for the iPhone 4S, and $315 for the iPhone 4. By comparison, an unlocked 16GB iPhone 5 will cost you $649 from Apple, an unlocked 16GB iPhone 4S will cost you $549, and an unlocked 16GB iPhone 4 will cost $450. Note, however, that unlike Apple’s unlocked offerings, T-Mobile’s phones are only unlocked once customers have paid off the balance they owe T-Mobile. Engadget has reported that the T-Mobile iPhone will be a slightly different version of the model currently sold for use on AT&T in the U.S., and that existing versions of that model (number A1428) will not be compatible with use on T-Mobile. Apple had not responded to a request for comment on that matter at the time of this writing. A T-Mobile spokesperson confirmed to Macworld that customers who cancel their service before those 24 months are up must pay off the balance by the end of 24-month period. Of course, you’ll still need a service plan, and T-Mobile is ready for you there: The carrier’s offering a $50 monthly plan of unlimited talk, text, and data—the catch being that only the first 500MB of that data is on the 4G network. For more 4G data, you can pay $10 per month per line for an additional 2GB or $20 per month per line for unlimited 4G data. Once you exceed that 4G data, you presumably fall back to slower speeds, like EDGE. The company also said on Tuesday that it is launching its 4G LTE network in seven more markets—Baltimore; Houston; Kansas City; Las Vegas; Phoenix; San Jose, Calif.; and Washington, D.C.—and aims to reach 200 million people by the end of 2013. T-Mobile’s also offering a few extras with its service: The carrier says it will be the first in the U.S. to offer nationwide HD Voice for the iPhone 5, will package 500MB of 4G tethering for its customers, and will support the ability to use the voice and data connections of the phone simultaneously—a featured offered by AT&T, but not Verizon or Sprint. Previously, using the iPhone on T-Mobile required customers to unlock their existing phones (or purchase an unlocked phone from Apple). But because of T-Mobile’s incompatible 3G standards, users were instead restricted to the slower, EDGE network. That didn’t stop many customers—in 2011, the carrier said it had 1 million iPhones on its network, and it’s only amplified its attempts to market to iPhone owners since then. The T-Mobile iPhone arrives on April 12; customers can being pre-ordering starting Friday, April 5. Updated at 2:03 p.m. Pacific with further information from T-Mobile about unlocking, prices of higher capacity models, and installment payments.